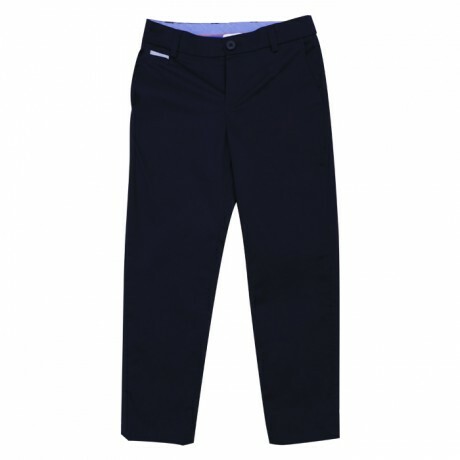 For coming to the next party, these navy blue trousers in slim fit style from Boss are the perfect choice. Crafted in pure cotton, the pair features five pockets with a button and hidden zipper. These trousers have foldable the cuffs that will look dashing to wear with a shirt and a pair of sneakers.